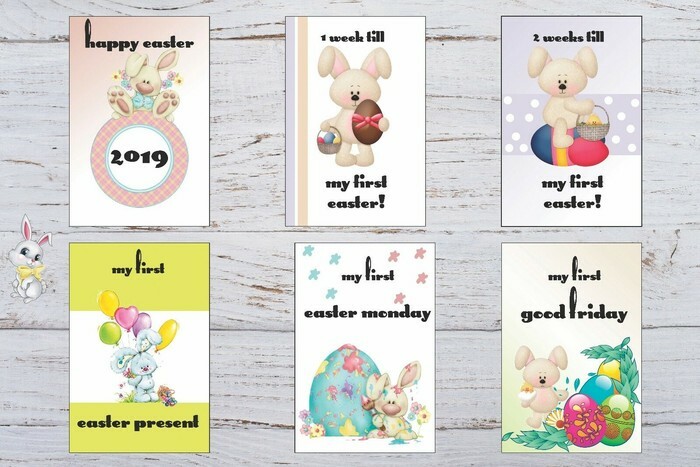 There are 12 cards in this set which are professionally printed onto 300 gms card stock. 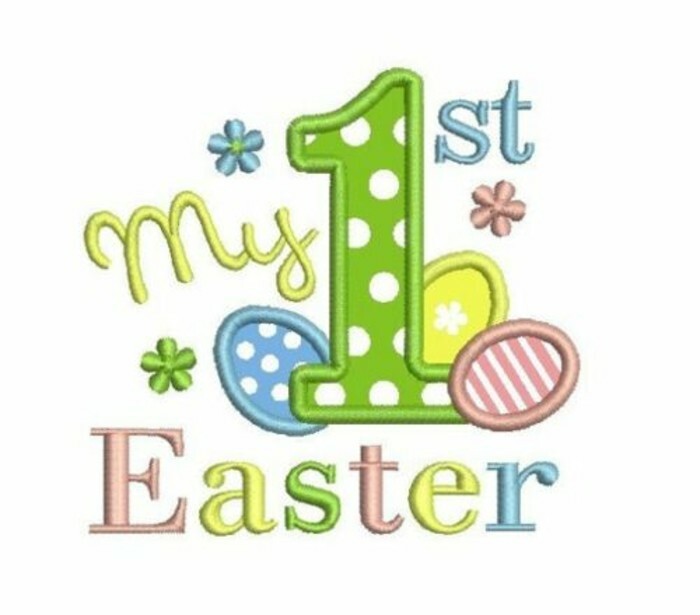 Printed one side only. 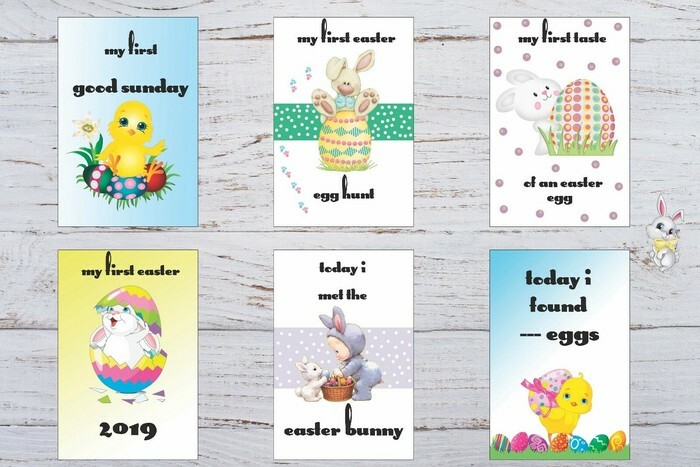 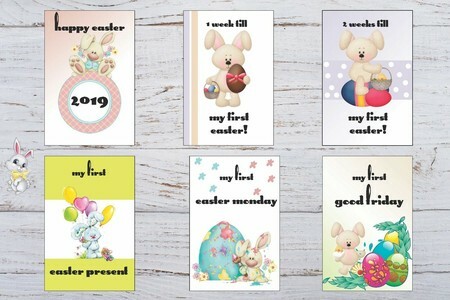 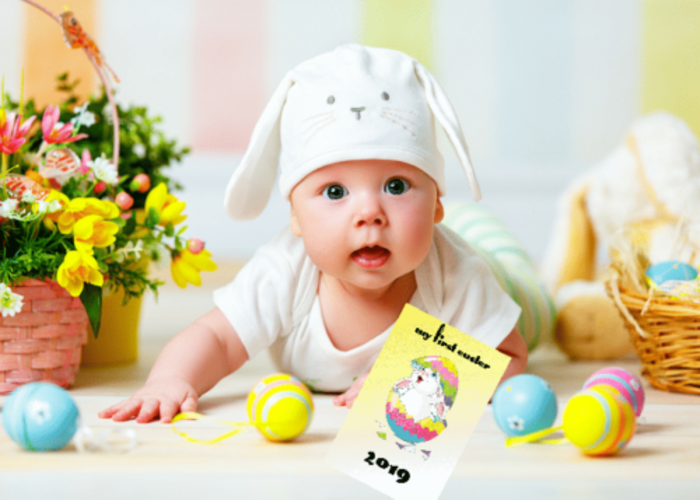 Individual Card Size: 4" x 6"
- "My first Easter 2019"
- "My first egg hunt"
- "My first taste of an Easter egg"
- "My first Good Friday"
- "My first Easter Sunday"
- "My first Easter Monday"
- "Today I met the Easter Bunny"
- "My first Easter present"
- "Today I found __ eggs"
- "1 Week till my first Easter"
- "2 Weeks till my first Easter"